Question: what kind of whackos spend 15 days in the backcountry drinking muddy iodine-flavored water, eating the same food day after day, and chasing elk from dark until dark? You guessed it: the same two guys and eight goats who went to Hells Canyon for a spring bear hunt. Why? Because IT ROCKS! Archery elk hunting in September during the rut is an experience like no other. Everyone should go into the woods during September at least once and listen to bull elk bugling. The sound is eerie, magical, and beautifully wild. I look forward to it every fall, and this year, we were fortunate to be able to spend two weeks in Hells Canyon, living briefly with the creatures that inhabit this area year round. So, did I quit and go home? Hell NO! I did what most other completely irrational people would do: I stayed out there another week, eating moldy sandwiches and gritty water. My buddy, Brandon, got a shot opportunity too. Remember that pesky little branch that deflected my arrow? 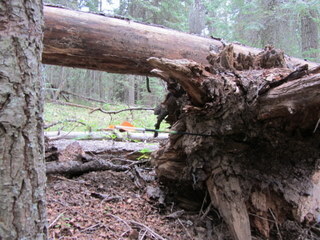 That branch’s cousin got in the way of Brandon’s arrow, sending it flying off into oblivion. More laughing elk. Alright, enough whining. We had a great time, despite the fact that we came home without meat. A trip like this is about filling the freezer, but it’s not JUST about bringing home the best steaks in the world. 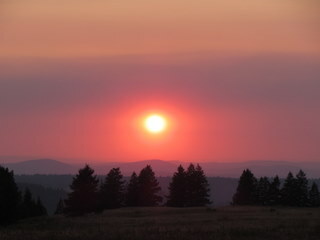 We got close to bears, we ate blue grouse, we saw huge bull elk, and fiery sunrises and sunsets. We extracted water out of mud and endured searing heat, pouring rain, freezing cold, two weeks without a proper shower, and the worst smelling socks in the world. What’s not to like? Will we go again? In a heartbeat. Next time, I hope my heart beats a little slower and I aim a little better. 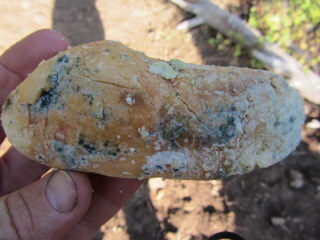 After eating all those moldy cheese sandwiches, I’m extra hungry for elk steak! To see more photos and videos from the trip, click here. Note: the videos are shot in HD format. If your computer has trouble playing them, try downloading this free video player. 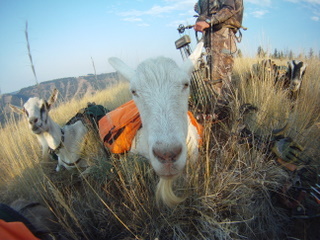 This entry was posted in Elk Hunt, Hells Canyon, Hunting, Packgoats and tagged bowhunting, elk hunting, hells canyon. Bookmark the permalink. Bowtie Jon B from Bend told me about your site…had to check it out..
I’d love to post this to FB for ya to grab some more exposure and share with my huntin peeps across the northwest…is there a way to do that?..or..do you want to keep it low key? This site is here for all to enjoy. Feel free to link to it anywhere you want.